In our article 13 Ways to Avoid Colds & Flu we mentioned some foods that are great flu fighters. Get your science caps on, because here are the reasons why! Yoghurt is well-known for its pro-biotic qualities. The key ingredient in preventing flu is Lactobacillus reutri, a pro-biotic that stimulates the white blood cells to fight infection. In a Swedish study, workers who took Lactobacillus reutri were 33% less likely to get sick! So when you buy your next tub of yoghurt, be sure to look for one that has Lactobacillus acidophilus, Bifidus and L. rhamnosus. Garlic has several infection-fighting compounds, including allicin, which fights bacteria and acts as a decongestant. Garlic is also believed to act as an antioxidant and destroy free-radicals – the active oxygen molecules that damage cells. Studies have shown that people who take a daily garlic capsule or 12 weeks are two-thirds less likely to catch a cold or flu. And if they did catch a cold, they had it for 3 ½ days less. You don’t need to take this as a supplement. It’s more effective, and a lot tastier, in its food form. 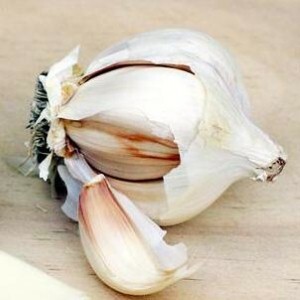 It is recommended that you have 1 – 3 cloves of cooked garlic in your food every day. Mushrooms contain 300 compounds (including beta-glucan) that increase immunity and the production of infection-fighting white blood cells. Shiitake, maitake, and reishi mushrooms are the best immune boosters, but regular mushrooms will do the trick too. Salmon, tuna, mackerel, herring, and other fatty fish contain omega-3 fatty acids. The two main forms of omega-3, DHA and EPA, benefit the immune system by absorbing nutrients and removing toxins. The acids also increase activity of phagocytes — cells that “eat up” bacteria. 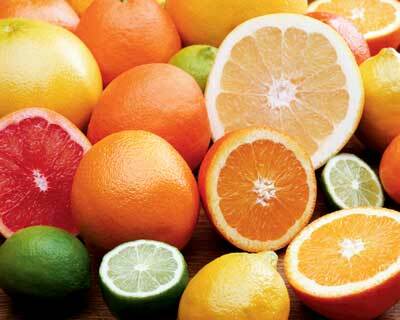 Citrus fruits increase your vitamin C intake. It is recommended that fresh fruit should be eaten on an empty stomach (preferably about 30 minutes before breakfast) to receive the full benefits. The fruit acts as a cleanser and helps rid the body of unnecessary toxins. Grapefruits, tangerines, oranges, lemons, limes and naartjies are examples of great citrus fruits that you can to add to a meal. Sweet potato are one of the most nutritional vegetables. They boast potassium, vitamins A and C, and calcium – all helpful in staying healthy and fighting off cold and flu symptoms. Nuts in general are healthy, but brazil nuts and almonds are great immune boosters! Brazil nuts contain an antioxidant called selenium, and almonds are rich in vitamin E.
A Harvard study shows that drinking 5 cups of black tea a day for 2 weeks will turn your immune system T cells into “Hulk Cells” producing 10 times more interferon – a protein that fights colds and flu. You may be glad to know that Green tea works just as well; and you can still enjoy the benefits without drinking as many as 5 cups a day! Already have a cold or flu? We don’t have a natural miracle cure, but we can suggest some more healing foods that will boost your immune system and ease some of your symptoms! 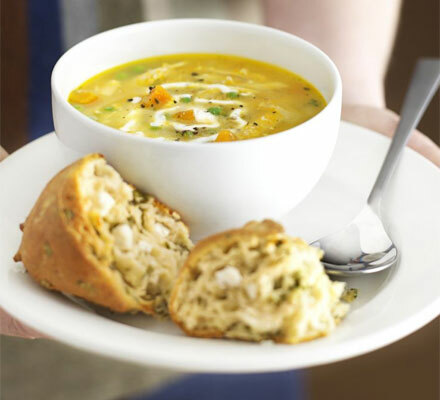 Chicken Soup helps clear clogged airways and will give you vital energy. Add plenty of veggies and garlic for extra nourishment! Hot and spicy food like horseradish, chilli and spicy sauces can help ease congestion. Fresh ginger root can soothe coughs, sore throats and fever. Try making ginger tea by adding boiling water to 2 tablespoons of grated ginger and let it brew for 5-10 minutes. Honey can help suppress your cough and has been known to stop the growth of bacteria. Add some to hot water or a lightly brewed tea. Vitamin C isn’t only found in citrus fruit. Other foods that are high in vitamin C include green peppers, potatoes, strawberries and pineapple. Fluids. Stay hydrated with plenty of liquids, especially water and pure fruit juices. Hot beverages like chamomile or peppermint herbal tea, or hot water with a slice of lemon work well too. A daily routine of skipped meals, lots of caffeine, high-fat and high-sugar junk foods can make you more susceptible colds and flu. So make your diet a priority and eat plenty of whole grains, fruit, vegetables and low-fat protein to strengthen your immune system.